THERE will be both work and lots of play for youngsters at a Southam primary school. 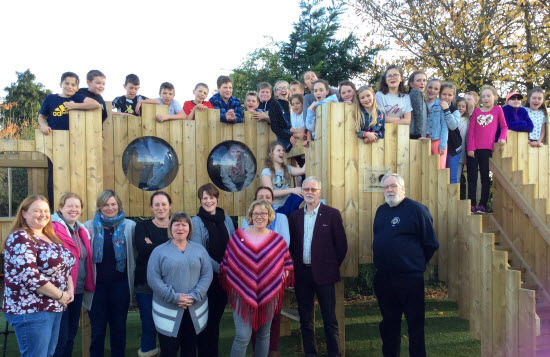 A new play tower – costing over £19,000 – was installed at St James Primary School thanks to the Parent Teacher and Friends Association (PTFA), Southam Town Council, Southam Lions and a £10,000 grant from the National Lottery Fund. The PTFA held many fundraising events over the past two years, including Christmas fairs, a summer fair, a charity fashion show from Daisy B’s Boutique and a charity quiz and curry night. Headteacher Phyllis King said: “We are grateful to everyone who supported this project.